JOHANNESBURG/PORT ELIZABETH, Dec 6 2013 (IPS) - As the world mourns the passing of South Africa’s first democratically elected president, Nelson Mandela, his close friend and political stalwart Tokyo Sexwale says much needs to be done to honour his legacy. 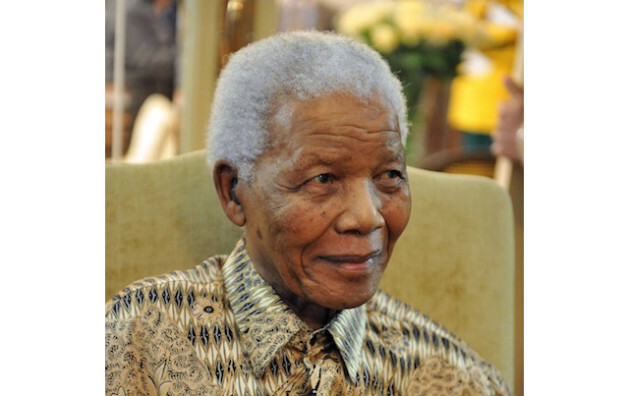 Mandela, 95, died surrounded by his family at his Johannesburg suburb home on Thursday evening at 8.50 pm. “We ask people to honour Madiba by living his legacy. We are free today because of Mandela,” Sexwale told IPS after Mandela’s passing, referring to the statesman’s legacy of non-racialism and non-sexism. South Africans affectionately referred to Mandela by his clan name, Madiba. “Death is a sad thing. But there is a lot we can celebrate of Madiba’s life. It was 95 years well spent,” Sexwale said. But it was Mandela’s close friend and confidant, Ahmed Kathrada, who brought tears to many with his heartfelt tribute. “We have known each other for 67 years, and I never imagined I’d be witness to the unavoidable and traumatic reality of your passing…to whom do I turn for solace, comfort, and advice?” Kathrada, a politicial activist and former political advisor to Mandela, said in an open letter on Dec. 6. Kathrada told IPS in an interview before Mandela’s death that his legacy would always be remembered. He also pointed out that much had to be done to achieve the ideals Mandela had when he was released from 27 years of imprisonment in 1990. “There’s a lot that one has to do, because the main message Madiba came out of prison with was that of non-racialism. That means you live in a country of various political beliefs,” said Kathrada. In Kathrada’s office there is a portrait of him sitting on a couch next to Mandela, his former commander-in-chief, laughing as if they shared a private joke. “It is time for you to retire, Madala,” wrote Mandela in cursive on the portrait, which he gifted to Kathrada in 2001. “We called each other ‘madala’. Old man,” Kathrada explained. “The whole world calls him Madiba but he was my ‘madala,’” Kathrada said. The portrait provides a glimpse of the deep bond the two shared, stemming from the many years they spent together during the struggle for a free and democratic South Africa. Both Kathrada and Mandela had been sentenced to life imprisonment during the 1963 to 1964 Rivonia treason trial – they and other leaders of the African National Congress had been accused of trying to sabotage the apartheid government. They served time together on Robben Island. Kathrada maintains some five decades later that he shared a very frank and open relationship with Mandela in their pursuit for democracy. “We knew we would win the struggle. That we will get democracy but it didn’t cross my mind that Mandela would ever be president,” he said. Mandela became South Africa’s first black president in 1994 and served only one term of office, stepping down in 1999. But judge Siraj Desai, who practiced as a legal activist and was closely involved in many legal battles against the apartheid government, said that during that time Mandela, a former lawyer, was able to radically reform South Africa’s legal system. Desai added that South Africans could not close their eyes to the reality of poverty. “The realisation of these socio-economic rights have not happened yet, but I think that it is a question of failed political implementation, not failed legal reform,” Desai said. South African social justice activist Fazila Farouk said that the issues Mandela touched on in his speech during the Rivonia treason trial were still very relevant today. “Mandela spoke about people in rural areas, how they suffered through soil erosion and droughts. He spoke about the appalling employment conditions of black farm workers. He spoke about income inequality [in urban areas], a bifurcated education system and the massive impact that poverty and malnutrition have on children’s ability to learn,” Farouk told IPS in an interview before Mandela’s passing. “The sad reality is that you can cut and paste sections of his speech from 1963 and use it just like that to address the reality that so many South Africans face today,” she said, adding that it was shocking that the lives of so many South Africans had still not changed. She admitted that access to education has improved radically since South Africa became a democracy in 1994. “If we look at our country today, we realise what is striking about his speech is that we have, in many ways, failed him. “Income inequality lies at the heart of many of government’s failures to realise human rights – if we don’t deal with it, we will not overcome our problems,” Farouk said. However, gender activist Lindsay Ziehl said that legislatively, South African women were significantly better off because of Mandela’s influence. “He made a significant contribution in levelling the playing field for women. We now have better laws, better training at police stations and the courts. For the first time people understand that domestic violence is not just a matter for married people,” she told IPS before Mandela’s death. South Africa implemented a Domestic Violence Act in 1998, which recognised economic, emotional and physical abuse in domestic relationships. She added that there are now more women involved in politics than ever before. South Africa is ranked third in the world in terms of gender representation in parliament. He said that the country’s macro-economic policy was more focused on urban areas while rural areas were very much neglected. “Immediately after 1994 there was an initial massive increase in the number of health services being built – but there was no focus on service delivery or the sustainable use of resources,” Eagar said. Eagar said that Rural Advocacy Health Project research shows that at the moment about 15 percent of rural households are impoverished by the “catastrophic effect” of transport costs to get medical help. As the world mourns Mandela’s death, Kathrada said the precedent Mandela set through his actions and life was enough to create a “world of young Madibas”. “Remember what Madiba stood for and sacrificed all his life. It is to build one united nation under one flag, under one anthem,” Kathrada said. You refer to Mandela’s legacy in the context of domestic violence. Yet you don’t mention that Mandela himself was guilty of domestic violence against his first wife. His second was guilty of violence – including murder – against children. The family are not role models.